The last seven months have been absolutely great. 20 Mile, Carpathian, Kanuti: its impossible to pick a favorite. But, at the beginning of February things were bleak. Actually, they were dark and downright wet. December and January were filled with unstable snow and, as the Weather Service put it, a firehouse of tropical moisture (rain). That Friday night brought the usual weekend warrior data collection and decision making: making phone calls, reading blogs, and checking weather stations. Conclusion: it had rained everywhere; skiing was not in the cards. So, Toni, Alex, Rachel, and I did something different: we didn't go skiing. 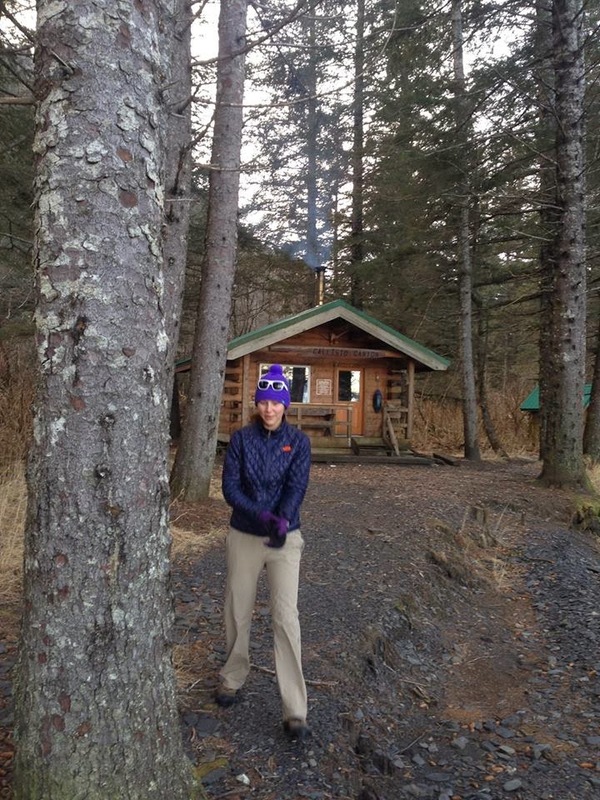 Instead we drove south toward Callisto Cabin (reservations here) along the beach outside of Seward. The hike to the Caines Head cabins is an awesome beach walk at low tide. With the short winter days, the low tide occured in the dark. Walking on the icy beach in the dark in February was a bit sketchy, which I was recently reminded of when my coworker broke his leg doing the same walk in the day this summer. 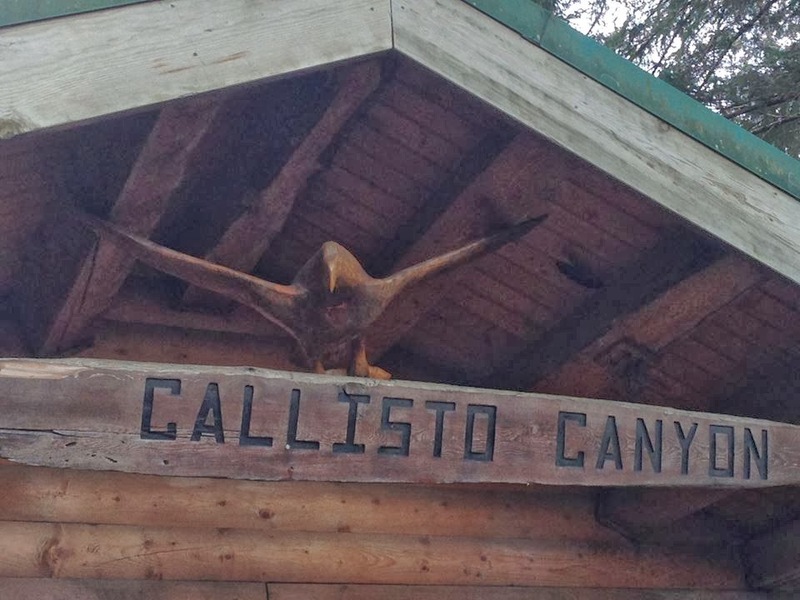 Walking in the dark, we felt the cold katabatic wind draining the valley behind the Callisto Cabin and knew it was time to leave the beach and look for the cabin. Found it! 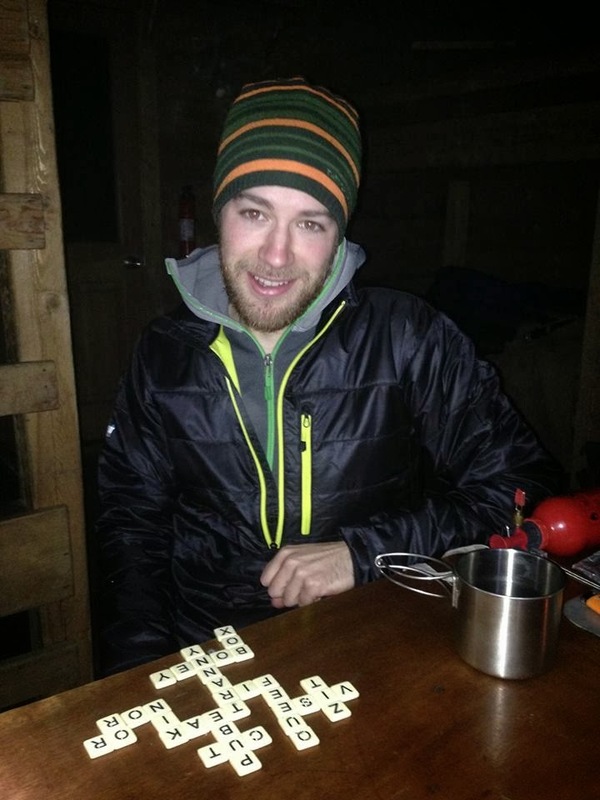 All hut/cabin trips are accompanied with at least a few memorable games of Bananagrams. This time Toni learned a new word. Thanks Alex! The view from the cabin proves that it does actually snow here. Or, maybe the rain just freezes when it hits the ground? The rain had done a very effective job of melting the snow, so we went for a hike out to Caines Head. The high tide during the day led to some very interesting scrambling and bushwhacking along the way. I remember seeing all sorts of cool little deer beds in the woods though. Lunch time on the beach: red salmon, bell peppers, and smoked gouda. If it weren't for that hoar frost it could be summer! 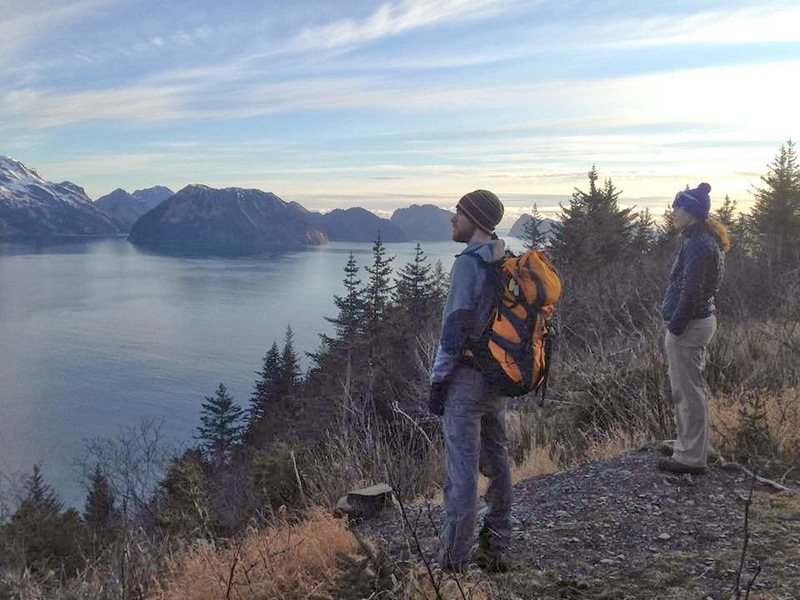 Caines Head was spectacular; perched above Resurrection Bay we could see a pod of porpoises in the water below. The deserted military base was also fun, and reminded me of a dark adventure with Mike through an abandoned base on the north slope which involved a Geiger counter. Heading back to Callisto, we waited for the tide to go out so we could walk along the beach. Alex and I kept ourselves entertained. 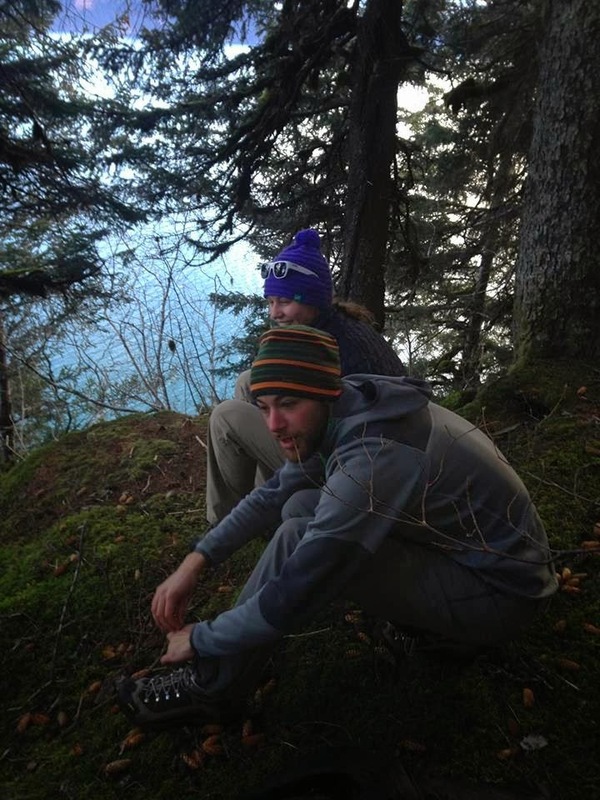 Back at the cabin, we packed our bags and hiked bmornack towards Seward as the sun set. Returning safely to the car, we slept as Toni drove, none of us aware that by the end of the week a storm would push through Portage Pass and then turn south, dumping 40 cm of cold smoke on Turnagain Pass.